The jig is up. After the events of the previous episode, Fisk is aware of the return of Daredevil. It’s only a matter of time before the two meet again in a battle for the soul of Hell’s Kitchen. 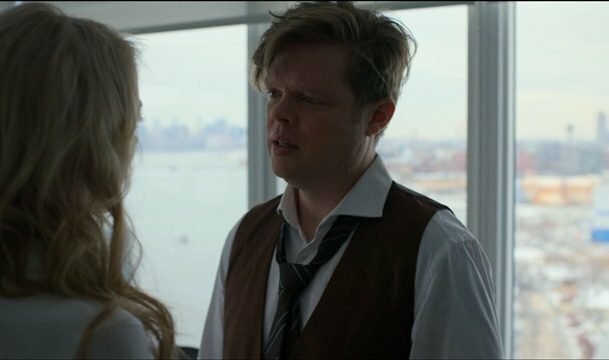 The inevitability of the clash might be set in stone, but Fisk’s first move, and who might be in his stead, remained nebulous entering Daredevil season 3 episode 4. It might not be so cloudy on the other side. Foggy is reeling following his reunion with Matt. The bundled stress of losing that close relationship and being a target of Fisk leaves him on the edge of coping. Marci tries to calm him, but his frustration boils over in a rant against DA Tower’s lack of response to the Fisk issue. Foggy’s diatribe sparks an idea in Marci: Foggy should run against Tower as a write-in candidate for District Attorney. Neither think he can win, but the move would force Tower to address the issue publicly. Foggy makes his intentions known at a police union function. Tower threatens to throw him out of the union-only function, but vouches for him when he takes the stage without approval. With Tower’s approval to speak, Foggy request the support of the city’s police force in his campaign. With betrayal wiped across his face, Tower watches as the officers who were critical of Foggy slowly line up to show their support. Troubled FBI agent Dex might be back on the beat, but an internal investigation into the Albanian motorcade attack threatens his job once again. 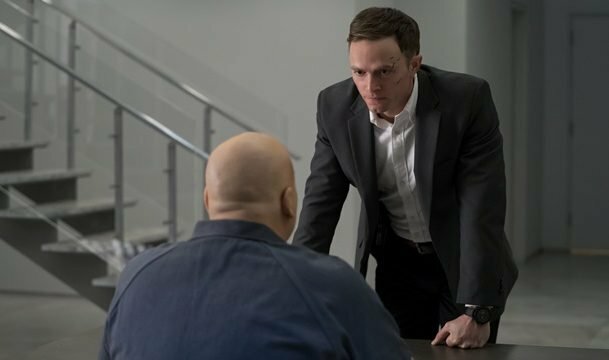 The investigators request a private interview with Fisk due multiple discrepancies between Dex’s recollection and forensic records from the crime scene. The investigation doesn’t impede Dex’s attempts to mess with Fisk, taking a bite out of his burger before it is served to him. Fisk no sells the act. Later, Dex gains access to the footage of Fisk’s interview with investigators. To his surprise, Fisk commends Dex for saving his life, smoothing over any inconsistencies between the two accounts. When confronted, Fisk expresses sympathy for Dex’s treatment and compliments his courage and actions. Dex and Fisk see eye-to-eye on the opinion that the real heroes are ridiculed and dismissed in favor of masked vigilantes. For once, Dex lets his guard down. Unfortunately, it is in the presence of a man who knows exactly how to use such an opening. Ray isn’t the only having a conflict with honesty. When Foggy reveals to Karen that Matt isn’t dead, she is consumed with anger. Foggy expresses that Matt isn’t the same man they once knew, but that doesn’t assuage Karen from ranting about his broken promise of honesty. The anger that causes her to pull a gun on a group of cat callers begins to fuel her rogue investigation into Fisk. After linking Fisk’s money laundering to Red Lion National Bank, Karen surprises an FDIC employee on her stoop, demanding answers. She gives her one name, Felix Manning, before threatening her job. After taking a suit from his apartment, Matt impersonates Foggy to gain entry to the prison that formerly housed Fisk. Once inside, he asks a former client, Michael, to help him get an audience with Albanian syndicate leader Vic “Mother Teresa” Jusufi. Michael relents, delivering a punch that forces the guards to take him to the infirmary for precautionary reasons. 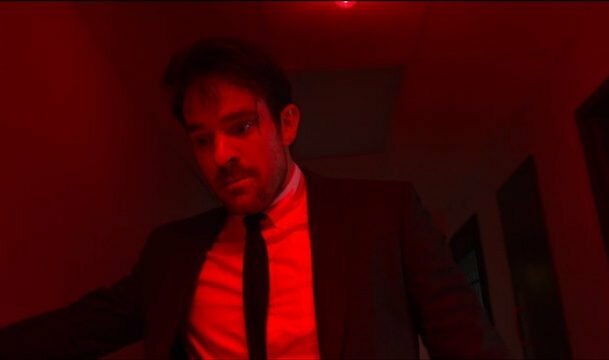 It all turns out to be a setup by Fisk as the nurse attacks Matt, injecting him with a small amount of an unknown agent before Matt takes him down. Fisk reveals he is behind the attack on Matt before the hero is released into a prison in full riot mode. Matt is attacked by prisoner and guard alike, all under Fisk’s control, before being taken by Vic’s associates. Matt convinces Vic that he sought him out to learn why Fisk would sell out the Albanians specifically. While Vic doesn’t know, he does know that Fisk set up his own stabbing to facilitate his transfer. Furthermore, the man he recruited to stab him, Jasper Evans, was freed following the event. Vic and his allies help Matt escape the prison in exchange for his help chasing down Evans on the outside. They toss him in the back of a taxi and Matt passes out, likely from the injection, in the back seat. When he comes to, the driver has been replaced by a hired gun who quickly dives from the speeding vehicle as it is sent careening off the dock into the harbor with Matt trapped inside. 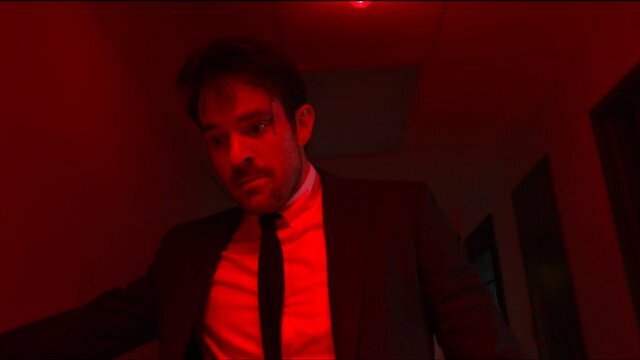 What did you think about Daredevil season 3 episode 4?